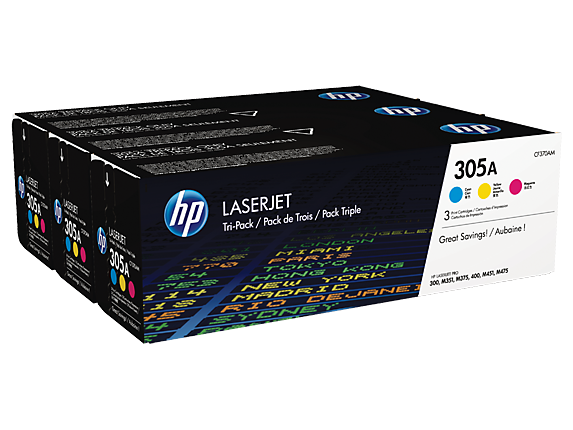 Depend on unsurpassed quality and reliability with Original HP cartridges. Plus, free shipping, delivered next business day. 1 Program features and availability may vary by country. For more information, visit http://www.hp.com/learn/suresupply. 2 HP Planet Partners Program availability varies. For details, see http://www.hp.com/recycle. On recycled materials in cartridges, see http:// www.hp.com/go/recycledcontent. 3 Average color composite (C/M/Y) and black declared yields based on ISO/IEC 19798 and continuous printing. Actual yields vary considerably based on images printed and other factors. For details see http://www.hp.com/go/learnaboutsupplies. 1 Program features and availability may vary by country. For more information, visit http://www.hp.com/learn/suresupply. 2 HP Planet Partners Program availability varies. For details, see http://www.hp.com/recycle. On recycled materials in cartridges, see http:// www.hp.com/go/recycledcontent. 3 Average color composite (C/M/Y) and black declared yields based on ISO/IEC 19798 and continuous printing. Actual yields vary considerably based on images printed and other factors. For details see http://www.hp.com/go/learnaboutsupplies. 4 Based on cartridge yields for HP 305A compared with HP 305X Original HP toner cartridges. For more information, see http://www.hp.com/go/learnaboutsupplies. Print more and save more. 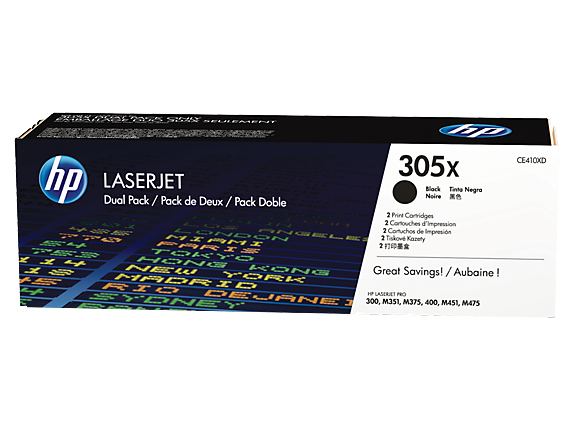 Original HP LaserJet toner cartridge dual packs deliver professional print quality for a better value than individual cartridges. Stay productive and reduce downtime by keeping an extra toner cartridge on hand. 1 HP Planet Partners Program availability varies. For details, see http://www.hp.com/recycle. On recycled materials in cartridges, see http:// www.hp.com/go/recycledcontent. 2 Declared yield value in accordance with ISO/IEC 19798. Actual yields vary considerably based on images printed and other factors. 3 Average color composite (C/M/Y) and black declared yields based on ISO/IEC 19798 and continuous printing. Actual yields vary considerably based on images printed and other factors. For details see http://www.hp.com/go/learnaboutsupplies. As you print more, you save more without sacrificing the reliable, trouble-free printing of Original HP. 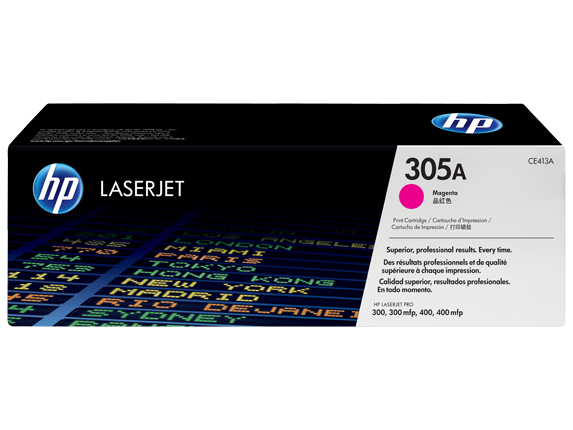 New HP Color LaserJet Tri-packs—designed for higher-volume, photo-quality business printing—are a convenient, high-value option. 1 Program features and availability may vary by country. For more information, visit http://www.hp.com/learn/suresupply. 2 HP Planet Partners Program availability varies. For details, see http://www.hp.com/recycle. On recycled materials in cartridges, see http:// www.hp.com/go/recycledcontent. 3 Composite Cyan/Yellow/Magenta Cartridge yield. Declared yield value in accordance with ISO/IEC 19798. Actual yields vary considerably based on images printed and other factors.